Stuart – First, if you could share with our readers your goal for Gehenna & Hinnom in three sentences or less? Charles – Our dream is to create a home for authors of weird fiction and cosmic horror that will always welcome them with open arms, no matter their experience or lack thereof. 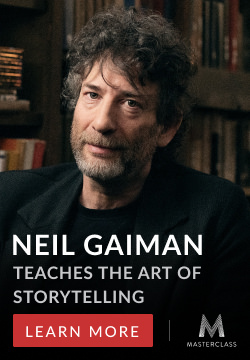 Coinciding with this is the equally important aspiration to provide quality fiction for fans of the fringe genres, stories that will always be inclusive and high quality, with zero of the politics one might find in many other small presses. Stuart – When did you found Gehenna & Hinnom and what caused you to do so? Charles – Gehenna & Hinnom was first birthed as Gehenna Publishing House back in 2016, though my lack of experience led to me shutting the doors quite promptly and before any works had been published. I wanted to guarantee my promises, and I’ve always been a firm believer in keeping your word. When I realized I needed more time to set the foundations and learn of the markets and mechanics of publishing, I took over a year and tirelessly researched, developed connections, and educated myself as much as possible. Shortly after, in April 2017 (a year already! Wow! ), we opened our doors with the brand you see before you now, Gehenna & Hinnom Books. As far as the driving factors in diving into a profession as risky as publishing, there were many reasons. Perhaps the most important were 1) I saw an influx of quality work in the dark fiction markets that wasn’t receiving the attention it deserved, 2) I’ve always been a “helper” and, as I expected, helping authors get published has become the most rewarding thing I’ve ever done, 3) In 2016, I read a collection titled The Nameless Dark by T.E. Grau. After reading it in a frenzied session, I knew that’s the type of fiction I wanted to publish. Concerning my personal purposes with the initial founding of the company, I had gone through a terrible hardship where I was afraid that I’d never have the opportunity to make a change in the world. It was in those dark moments that the inspiration first festered, and it’s since evolved into immense resolve to not only assure my life has a meaningful impact, but to more importantly secure those impacts through the good that I can do for other people (authors and readers). Stuart – What is the greatest hardship that you’ve encountered while bringing your press to life? Charles – The greatest hardship is, and always will be, funding and time. I think it’s easy to not understand just how much becoming a Patron for a publisher, or ordering a few paperbacks, leaving reviews, buying subscriptions, etc., can do for a small press. It’s a constant uphill climb, the stress is unparalleled, especially when the staff are as small as 1-2 people. There have been a lot of great small presses that have folded because of these reasons, and it’s always heartbreaking to see. We’ve been fortunate enough to see an increasing amount of submissions each period and the responses we’ve received have been immensely encouraging. But this also means the expectations rise, and the workload increases. Needless to say, I enjoy every second of it. But I highly encourage all readers and authors alike, to consider supporting your favorite publisher in whatever way you can. Even if it’s in a small way, it helps immensely in the long run. Stuart – How has Gehenna & Hinnom evolved since its inception? Charles – Well, crazy enough, this month marks our first-year anniversary (as per my revelation earlier). And we have evolved drastically. I’d say the biggest change so far has been the types of stories we publish and our constant goal of increasing our payrates. The current driving goal is to become a professional paying market, which is a lot harder than it may sound. As far as content, we initially wanted to publish a plethora of themes, from Sci-Fi, Fantasy, and Horror, and beyond. But as 2017 came to a close, we realized where our voice in literature thrived. In weird fiction and cosmic horror. These are the stories we find the most compelling, and we hope that our company becomes a welcome home to purveyors of the weird and cosmic. Stuart – You work on anthologies, a magazine, novellas, novelettes, and chapbooks – how do you keep it all sorted? Charles – There is a long answer. The short answer is: no sleep, panic attacks, a mental breakdown here and there, and A LOT of caffeine. ‘Tis a labor of love, no doubt. But the most rewarding one in existence. I try to tackle one specific thing at a time to stay organized, and always carefully plan everything out, i.e. payment schedules, response deadlines, etc., (sometimes I plan these a year in advance!). The biggest challenge of running a company by yourself, or mostly by yourself (thank Cthulhu for Caleb Stephens) is by holding yourself accountable. You either can, or you can’t. That’s the defining factor in whether or not a small business is right for you. Stuart – One of the recent issues with small presses is that they have been growing at too rapid of a rate, what have you been doing to prevent that problem from occurring? Charles – I never take on more than I can handle. We could have easily jumped the gun and immediately went for semi-professional rates in Hinnom, but I understood that the company was very young and, as I mentioned above, I never make promises I can’t keep. It’s all baby steps. I think a lot of small presses get excited and take on more than they can handle. Patience is key to success, and the worst thing you can do is make guarantees that are unsustainable. You have to be logical, precise, and honest with yourself and your company. Never put all your eggs in one basket. Besides the day job and publishing, I also run two other online businesses, and do freelance editing jobs, in case I ever need that extra funding for the publishing house. Like I said earlier, no sleep. Stuart – What is a key area that you try to focus on when working with an author? Charles – The most important focus will always be building a relationship. The backbone of the horror community is a thriving source of support for each other. I’ve never encountered a group of people so willing to help one another for little to no gain on their parts. It’s truly remarkable. I’m also a firm believer that there is always room for improvement. For the many who have had the experience of me editing their story/novel, they can tell you that I am incredibly thorough and don’t find it difficult to offer criticism. Writing is all about improving your craft. At the end of the day, my only focus is to help authors get published. If it’s not with G&H, then I want to help them in any way I can to find success elsewhere. Stuart – From a publishing standpoint, have you seen a greater level of sales in physical or digital copies? Charles – As far as numbers, we definitely move more digital, which is understandable. We take great lengths to ensure our print and e-book editions are unique and as professional as possible, and we have moved a great deal of physical copies as well, which we are very thankful of. Stuart – How do you juggle running a publishing house with the rest of your life? Charles – The simple answer is I don’t. It’s a constant, grueling, and stressful process that moves a hundred miles per hour. Accountability is the top of the pyramid in my everyday life, and I do my absolute best to treat my promises as life or death. Sacrifices are made sporadically, whether they be personal or social, and I often put the publishing over everything else. I’m lucky enough to have a wonderful person in my life who understands this, and she’s never held it against me. I suppose it also helps that I’m naturally inclined towards an antisocial lifestyle. Who can blame me? Reading horror is much better than wasting money at a pub! Stuart – Sell our readers! Why should the authors who frequent Horror Tree specifically check out Gehenna & Hinnom as an outlet for their work? 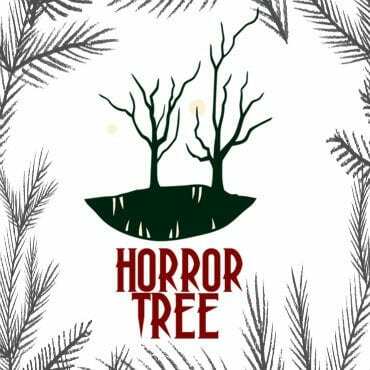 Charles – We have the utmost respect for Horror Tree and find it to be the best damn author resource out there. For the vile fiends who follow HT, I guess I’d like to say that I honestly believe Gehenna & Hinnom is unique. We put our authors above everything. We don’t see you as a wallet, but much more the opposite. An investment. Our entire mission statement is based on helping authors, and I like to think it’s our specialty. We don’t see writers as one-and-done numbers, we treat them as relationships and we always hope to be a resource to anyone who desires help, regardless of what it is. I’ve always strived for G&H to be personal, not just a machine that pumps out releases and lacks in correspondence. I don’t want G&H to be just another small press, but a home. And a warm, welcome one at that. There’s never a moment we don’t appreciate you, and we’re humbled by every submission we receive, regardless of the result. So, come in a check out our macabre selection of tales, and if the madness hasn’t grasped you by then, you just need to dig a little deeper. Stuart – Are there any upcoming anthologies or announcements you’d like to give our readers an early hint at? And, hoping it’s okay with Stuart and HT, there is a special announcement I’d like to make first here. We announced the covers for the next two magazines of Hinnom, and we actually have permission from the artists to release the covers of all Hinnom issues until February 19th 2019! Along with that, I have some very special art that was received last night that I’d like to share. Mind you, it is early concept art, but a great preview nonetheless. It’s for the upcoming Nightscapes chapbook, and the illustration is by none other than Year’s Best Body Horror cover artist David Dawkins. Stuart – Where can our users find out more about your company? The best place for learning about Gehenna & Hinnom will always be the homesite. But we also have a lot of other presences across social media. I’ll include the links below. Make sure to follow us and like the page on FB. Our free newsletter is a great way to get exclusive announcements and updates on releases, and our Patreon account has some pretty awesome rewards.